Some news from the NFL off-season... It's a deal. The Philadelphia Eagles have signed a two-year contract with Chinese American offensive tackle Ed Wang: Eagles sign OT Ed Wang to two-year deal. Wang, the first Chinese American player ever drafted in the NFL, was a fifth round pick by the Buffalo Bills out of Virginia Tech in 2010. He played in six games for the Bills before he missed 2011 with a thumb injury. He spent the offseason with the Oakland Raiders, but didn't make the team. One likely reason the team was interested in signing Wang was his experience in the spread offense. Wang said that will help him as he tries to make the roster. "Being comfortable in the offense and the system he is going to run is going to help to make the transition even easier," Wang said. 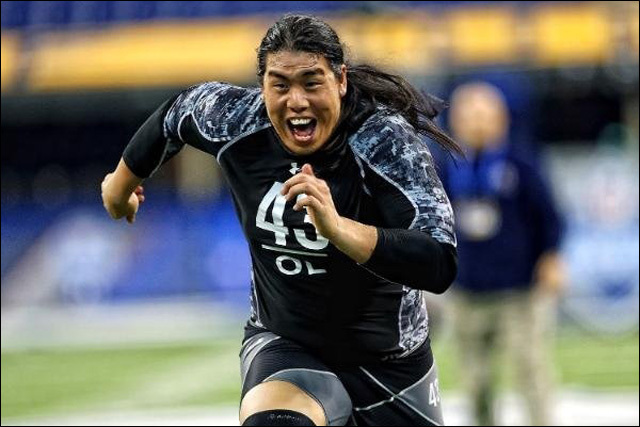 More here: Eagles sign offensive tackle Ed Wang.